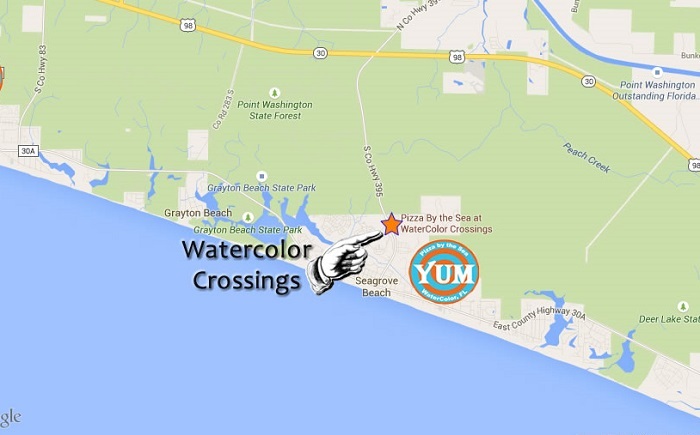 Pizza by the Sea at Watercolor Crossings is the original restaurant location. With both inside and outside dining, this location is a favorite with Watercolor residents and visitors alike. 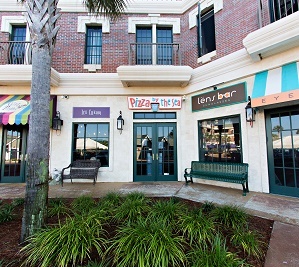 The restaurant is next to the Publix market on Hwy 395 and located central to both the Seaside and Seagrove communities. When you come into the main parking lot entrance, we are to the right of Publix. Just look for the outdoor tables! 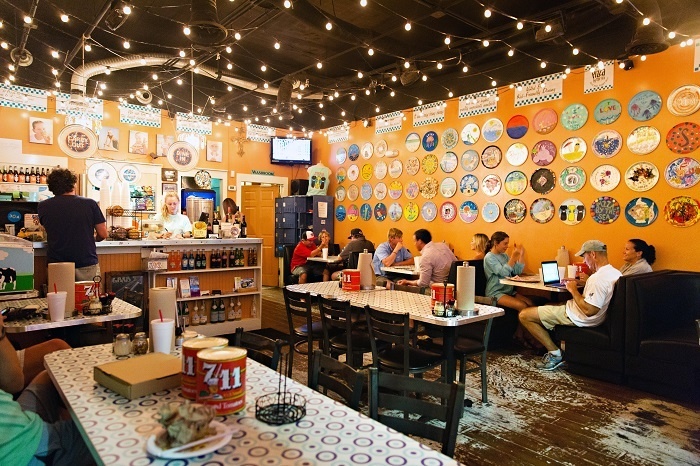 Pizza by the Sea and YOLO boarding.. the perfect lunch combination on the 30A!